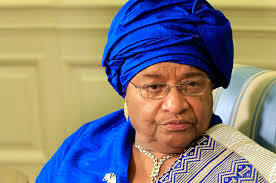 President Sirleaf said in her speech on Wednesday “our democracy is under assault” as the runoff election to replace her is delayed indefinitely by a court after allegations of voting fraud. The president expressed her frustration in a radio address played on repeat. It was her first public statement since the Supreme Court’s decision on Monday ordering that the Nov. 7 runoff vote be postponed. She urged fellow politicians to “do better,” pointing out that the October election saw 73 percent of registered voters turn out to cast their ballots in a show of confidence in the electoral process and in the West African country’s future. To some, the president comment came off as if she was speaking against the court action. But Sirleaf’s press secretary, Jerolinmek Piah, said the president’s comments were not aimed at those seeking legal action over the election.